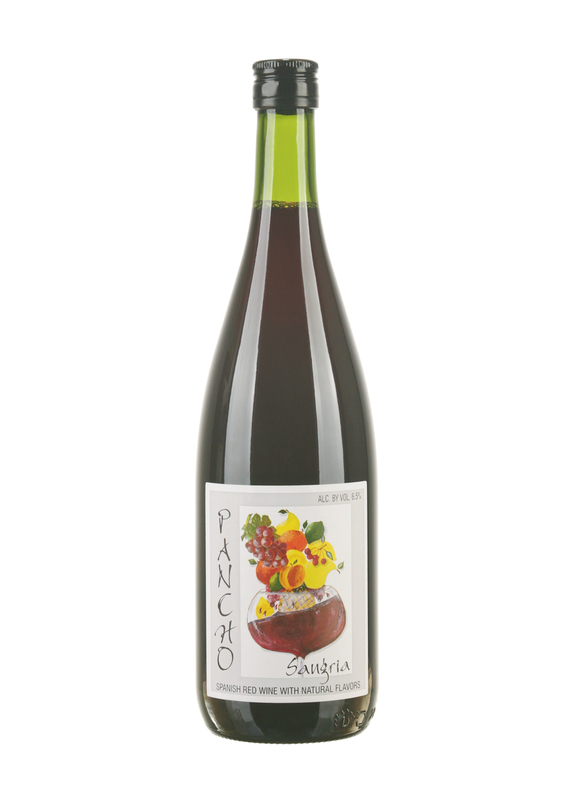 Pancho Sangria is bright red, with violet highlights. In the nose, there is an explosion of red fruit aromas, with some citrus and a hint of cinnamon. On the palate, the red fruit and citrus continues, with the cinnamon enhanced by a bracingly fresh mouth feel and finish. The wine used for this special sangria is chosen based on the brilliance of is color and the high concentration of flavor and freshness, as well as aromatic potential. There is no added coloring, and only pure cane sugar and natural fruit and cinnamon flavoring is added. This Sangria should be served well-chilled as an aperitif (over ice with sliced fresh fruit) or with Spanish, Mexican or spicy foods.